Maximising your income can make a real difference when you’re trying to manage your money and make sure you can pay all your bills. It is important to realise that financial benefits are not all means-tested and related directly to your income and savings. Many are based on your individual National Insurance record and some are based on your personal circumstances, without any reference to your finances. This alphabetical guide to the main financial benefits available to those aged 55 and over provides further information about what you may be entitled to. To check if you’re eligible, please call the relevant telephone helpline or visit the website. Paid to people severely injured whilst serving in the armed forces in place of Personal Independence Payment. To claim, contact Veterans UK Helpline 0808 1914 218 or visit this page. People living on their own are eligible for a 25 per cent discount on their Council Tax liability, irrespective of the level of their income and/or savings. A disability reduction in the amount you pay is available if you or anybody living with you is substantially and permanently disabled, and you have enough space for that person to use a wheelchair indoors. To claim, contact your local authority. Council Tax Support is a means-tested benefit paid to people of all ages, whether in work or not who are on a low income, to help them pay the Council Tax on their property. 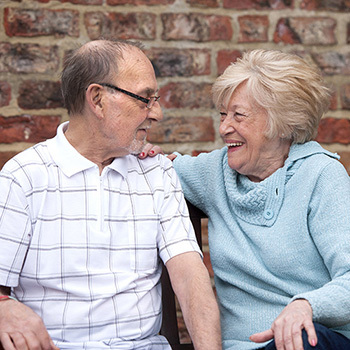 An Exceptional Hardship Payment is paid to those who need extra help with their Council Tax. To claim either or both, contact your local authority. Existing DLA claimants born on or before 8 April 1948 can continue to have their award reassessed under DLA rules as their needs change. Contact helpline 0800 731 0122. A payment made by the local authority to people in receipt of Housing Benefit or Universal Credit (that includes the housing costs element) who need extra help with their housing costs. To claim, contact your local authority. A means-tested benefit, paid to people of all ages, whether in work or not, who are on a low income, to help them pay their rent and eligible service charges. To claim, contact your local authority. This is a discretionary means-tested payment paid by some, but not all, local social services departments to help people pay for their housing-related support costs. Ask your location manager if it is still available from your local authority. This is a means-tested benefit paid to top up a low wage for i) single people and couples who work at least 30 hours a week and ii) disabled people and people aged 60 and over who work at least 16 hours a week. It is administered by HMRC. To claim, contact Tax Credit Helpline 0345 300 3900 or visit www.gov.uk/working-tax-credit.